If you were injured in a car accident in Miramar, do you know what to do? Probably not and don’t feel bad about that either. None of us are ready for a car accident. You most likely had places to go. People were waiting for you. Counting on you. Then in a split second, your life changed. Now your car is damaged. You are hurt, scared and even angry. You know that this accident isn’t going to only affect you but everyone else in your circle of life. Now you have to deal with tow trucks or damage to your car. Maybe you had to receive emergency medical treatment at the scene, in the emergency room or at an urgent care facility. Once it all settles down a little bit you realize that now you will need to figure out how to recover your lost wages, have your medical bills paid and most importantly, get your health back. You now have insurance companies in your life. There is your insurance company. Then there are the other drivers’ insurance companies. How are you supposed to make a full recovery when you are battling these forces? You can call the Miramar car accident lawyers at the Wolfson Law Firm and take your first step to recovering the life that you once knew. The Miramar car accident attorneys at the Wolfson Law Firm have been helping car accident and injury victims since 1963. That is more than 50 years of advocating for clients in their quest for justice. They know what to do and they can help you too. Just call 1-855-982-2067 for your free, confidential and no obligation consultation. Our Miramar personal injury legal team is available 24/7 and they are standing by ready to help you too. 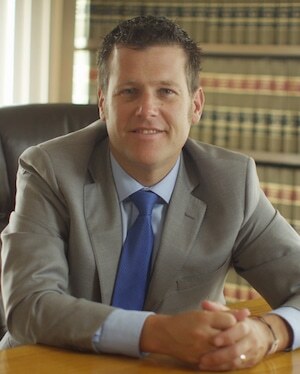 Jonah Wolfson is the managing attorney of the Wolfson Law Firm and he is a bilingual Miramar injury attorney and wrongful death lawyer. Jonah’s Miramar personal injury legal team is also bilingual and ready to assist you. Call us at 1-855-982-2067 and let’s get to work on your case today. The Miramar personal injury attorneys at the Wolfson Law Firm have offices in Miami, Fort Lauderdale and West Palm Beach. They are available to you by appointment at your convenience. 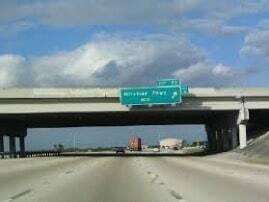 Our Miramar accident and injury legal team serve the people of South Florida including Pembroke Pines, Hollywood, Pembroke Park, Hallandale Beach, Dania Beach, Davie, Cooper City, Southwest Ranches, Weston, Plantation, Sunrise and Coral Springs.